WordPress is a versatile software platform that is most commonly used as a content management system and an open blogging tool that was originally released in May of 2003. Currently, it is the most popular blogging system on the Internet with over 60 million websites using it as their preferred site platform. It is also important for you to note that websites on WordPress typically perform much better than websites on other blogging systems. For example, 22% of the world top ten million websites run on WordPress. Unfortunately, many WordPress users do not know how to make money on WordPress, but a few users make millions off it. 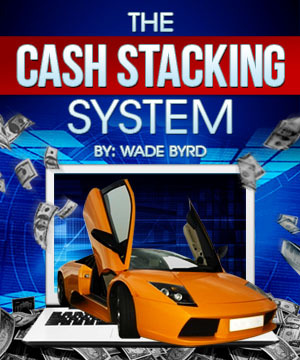 Join the few users making loads of money off this blogging system. Here are a few different approaches on how to make money on WordPress. A theme is necessary for any website on WordPress because it allows users to change the functionality and appearance of their website. Thousands of themes exist on WordPress and users can choose the theme they want depending on their personal tastes and preferences. Develop a theme that appeals to these users and they will buy it from you as soon as they see it. Web developers already have themes on WordPress that generate a lot of money for them. Remember, anyone can develop a theme on WordPress as long as he or she possesses the skills and desire to do so. Over 2.5 billion people worldwide use the internet on a regular basis yet the number of people worldwide exceeds 7.184 billion people. This means that the number of people and businesses setting up websites will continue to increase as more and more people gain access to the internet. Start a blog setup service on WordPress to prepare yourself for this imminent surge in website owners. Hundreds of people setup blogs on WordPress each day but at the same time, thousands of people fail at it. Help those who cannot setup their own blog for a small fee and you will generate thousands of dollars each month. Now you know how to make money on WordPress. Other ways of making money on this extremely popular blogging platform include creating and selling plugins, writing content for WordPress websites and even affiliate marketing. Use this knowledge on how to make money on WordPress wisely. It will help you to develop a nice income stream.